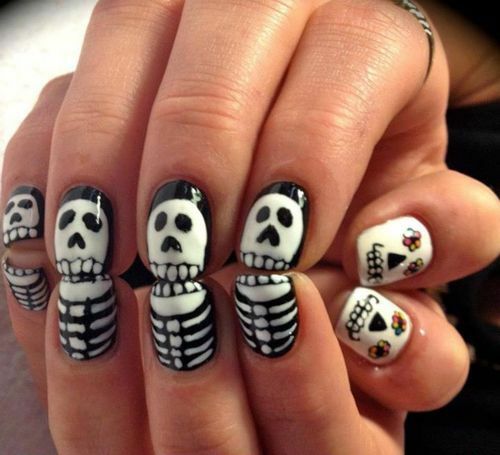 Nail art is now a new fashion trend that every girl loves to follow. All the gothic followers can also add a charm to their whole look by making different gothic designs on their nails as your hands are as visible as your hair and face. Gothic designs can be made by using common everyday materials as we do in normal nail art but the colours and designs are different and also the shape of the nails. Before applying any new nail paint on your nails, first remove the old polish by nail polish remover or pure acetone. Clip your cuticles and try to file your nails. 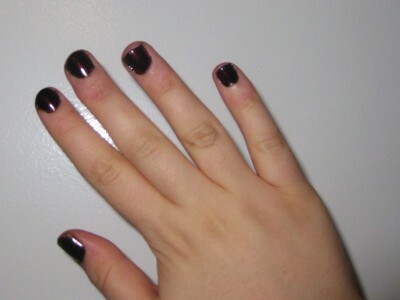 Give your nails a gothic shape by filing them into point. Make the points slightly angular or round as very sharp point break more easily while round point do not break. Mix your nail polish by rolling it between your palms. It is better to roll the nail polish to mix it as shaking it produces air bubbles which create an uneven surface. Now apply the base coat. Starting from the middle of the nail, place the tip of the brush next to cuticle and in one continuous motion brush up your nail to the tip. 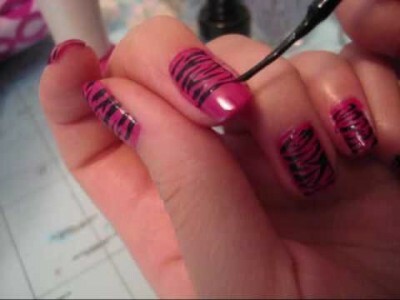 Cover your nail completely from right and left side by repeating the same process. Base coat provides a thin coat that reduces bubbles. This is the key to apply remaining nail polish applications. Let your base coat dry to touch. For the underneath coat, it is better to select the opaque gothic colour that you like the most. You can choose your colour from blood red, midnight blue, deep eggplant or silver-grey. Apply a single coat to all your nails and let it dry. Never forget to apply a transparent black nail polish over the coat of the opaque colour. This will make your nails shine black in light, however it will show the opaque colour the rest of the time. 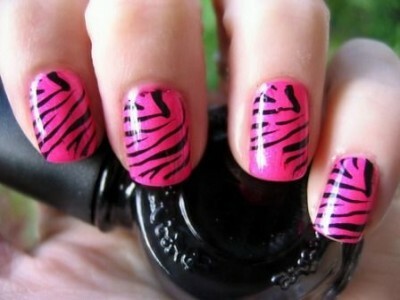 Apply double coat of clear nail polish. You can embellish your nail by making any desired design onto them. You can try making a spider web by using a toothpick. 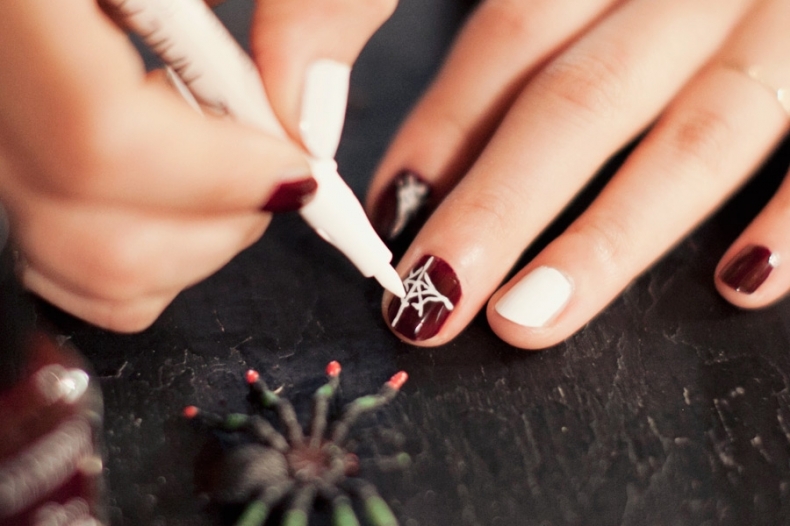 Dip a toothpick into white nail paint and make fine lines in a way that it looks like a web pattern. Let the design dry then apply clear polish over it.